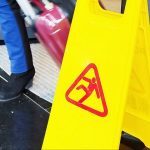 DO I HAVE A CLAIM IF I WAS AT FAULT IN A SLIP AND FALL ACCIDENT? When you have suffered injuries in a slip and fall accident, you may be eligible to hold the property owner liable for your losses. Those losses can include medical expenses, lost wages, pain and suffering and other damages. However, you can expect the property owner to hold you partly responsible for your own injuries, because of your own negligence. 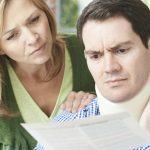 How can you be partly at fault for your own injuries? For example, if you were in an area of the property that you did not have permission to enter, you may find that the court finds you to be negligent in causing your own injuries. If you ignore warning signs that have been posted near the hazard, like those warning you about a hole in the ground, or a spill of water, or slippery floors, you may find that you are held at least partially negligent in causing your own injuries. Basically, if you fail to watch out for a hazard, or if you fail to take precautions to prevent an accident, a court may find that you are partly liable for your injuries. To determine if you were at fault in causing your injuries, and how this affects your claim, speak to a slip and fall lawyer in Bronx. 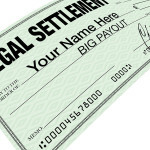 In such cases, the court may decide to lower the compensation that is due to you. For instance, if you are eligible for a compensation amount of $10,000, and the court finds that you were 20% at fault in causing your own accident, then it may decide to award you only $8,000, instead of the full amount. If you were injured in a fall accident, speak to a slip and fall lawyer in Bronx. 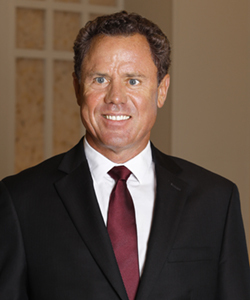 You may be eligible for compensation even if you were partly negligent in causing your injuries.